If you’re looking for a holiday to Goa that involves beautiful beaches, then we’ve got just the ticket. Do your holiday dreams include sweeping sands, glistening waters and wonderfully warm sunshine? If so, then there’s no doubt that Goa is an ideal choice for a beach break. In order to try and make your dreams a reality, here’s a selection of The Goa Experience’s favorite Goa hotels on the beach, from our value collection right through to our luxury options – as who are we to deny anyone a glorious beach break under the Goan sun? 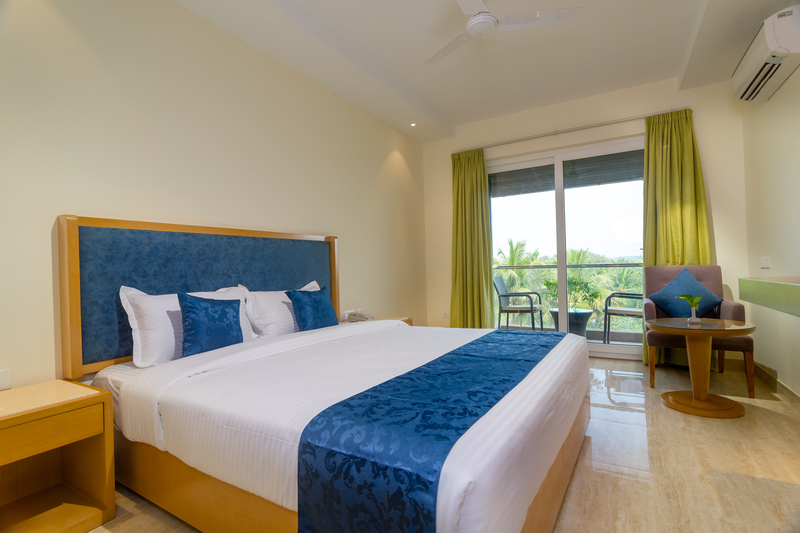 An exclusive inn to The Goa Experience, Hyde by Toshali hotel offers guests colorful and secluded gardens, a tranquil atmosphere and a fantastic location, right on the golden sands of Candolim Beach. Relax and top up your tan, partake in some of the water sports on offer, or explore the numerous bright wooden beach shacks which accentuate the shoreline. This wide stretch of beach is popular with domestic and international tourists, and a great location for families. Although not directly on the beach front, a very short walk of a couple of minutes will reveal a beach lover’s paradise. Sun loungers rest on soft golden sand and you’ll enjoy best water games on this popular beach. If you’re looking for an exotic, romantic and luxurious holiday, then Hyde by Toshali is ideal. The Goa hotels on beach boast fabulous facilities including yoga classes and wellness packages and many more rejuvenation options, along with multi cuisine restaurant and bar. However, if you’re a real sun worshipper, enjoy a bit of snorkeling or really love fresh seafood, then hit Candolim beach to indulge in all your favorite holiday pastimes. A peaceful setting where you can spend your days soaking up the warm Goan sun, then head to one of the colorful beach shacks for an inviting refreshment and some authentic Goan cuisine. So plan your holiday and book your rooms as early as possible to get the best choice of relaxations for your luxury Goa hotels on the beach.